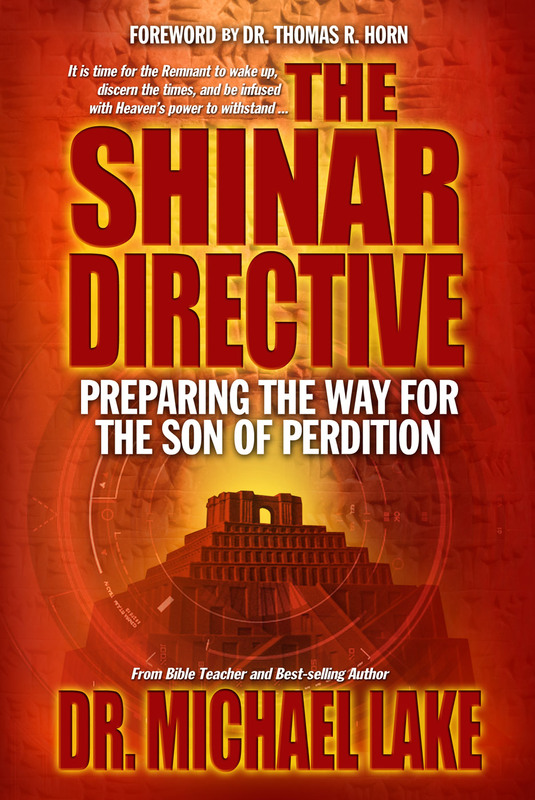 The Shinar Directive Book Trailer from Biblical Life TV on Vimeo. The Shinar Directive serves as a kingdom intelligence briefing for God’s people in the 21st Century. In the ancient plains of Shinar, an evil was born: the first world king, the prototype transhuman, the ultimate despot, the Son of Perdition – Nimrod. In Babylon, the Son of Perdition devised the Shinar Directive: the enslaving of humanity and the war against the God of Heaven. God’s intervention at the Tower of Babel only delayed his hellish plans. The Luciferian Elite now control three key circles of influence in the world: financial, political, and religious. However, controlling these three systems was not enough. The laborers of Mystery Babylon have been quietly planning and waiting for thousands of years for the releasing of the Watchers of Genesis 6. Now armed with developing Watcher technologies, the Elite will use Transhumanism and mind control to build the Joel Chapter Two Army: the Army of the Antichrist. We are beginning to realize that the Mark of the Beast and the Image of the Beast are much more than we could have ever imagined: beyond an implant, beyond a physical mark – it will affect DNA and who we are at a molecular level! As the powers of Mystery Babylon gather to create the new Tower of Babel and to prepare for the Son of Perdition’s return, Heaven is issuing a clarion call to the Remnant: know the strategies of the enemy, untangle yourself from them, and become the victorious Church! Heaven’s Jewish Apostle of Love, the Apostle John, reveals both the coming conflict in his “Book of Revelation” and provides the ancient Hebraic wisdom encoded in First John to equip the bondservants of Messiah with the tools of the Kingdom to overcome the Shinar Directive! How God reveals the end from the beginning in His Word. How the conspiratorial view of history is the most biblical one. How Mystery Babylon has been working over the millennia to see the fulfillment of Nimrod’s Plan. How the Elite are using the resources and governments of the world to prepare for Nimrod’s return. Financial systems to enslave mankind. Political systems to control the nations. Watcher technologies to empower their agendas. Mind control to draw humanity from God and to chain them to the Antichrist. Transhumanism to build Nimrod’s final army. How God used the Apostle John to both reveal the End of Days to us and how to survive them! It is time for the Remnant to wake up, discern the times, and to be infused with Heaven’s power to withstand the Shinar Directive! Enter Dr. Michael Lake, founder and chancellor of Biblical Life College and Seminary, whose shocking essay you now hold in your hands—a work that argues beyond doubt that we have entered the final time frame in which the spirit of Nimrod/Apollo is rising. Dare I say, with this book, that Lake emerges as one of the most judicious observers of the ages harkening back to those ancient occult-science endeavors—from megalithic building sites to the founders of Atlantian-like societies that to this day astonish scholars and laymen alike. Yet, argues Lake, there is more. In The Shinar Directive, he tackles the timeline between the first incursion of a mighty evil to its return and final encounter. Lake exceeds in making this near future chillingly ominous. Our eyes are opened to a biosphere and exosphere that has become a vast and stunningly dreadful battleground; a terrain as forgotten as prehistory, yet is as close to us now as our own tomorrow. This lethal and toxic reality was foreseen by Scriptures, both Old and New Testament, but soon will, by necessity, be traversed by gutsy end-time heroes, not highly trained black-ops teams or Elite commandos, but a revived and triumphant Church! In the end, the greatest achievements of The Shinar Directive are apt, profound, and conveyed in riveting fashion: with this work, the past and future legacy of wisdom and revelation clearly shine forth in multifaceted grandeur. From the forgotten “knowledge” of so-called “gods” and their re-connection to the latest scientific advances, to the terrifying underbelly of a boiling Armageddon and finally the brilliant and thrilling endgame that God has in store for His own. Michael K. Lake, Th.D., D.R.E. is founder and chancellor of Biblical Life College and Seminary. 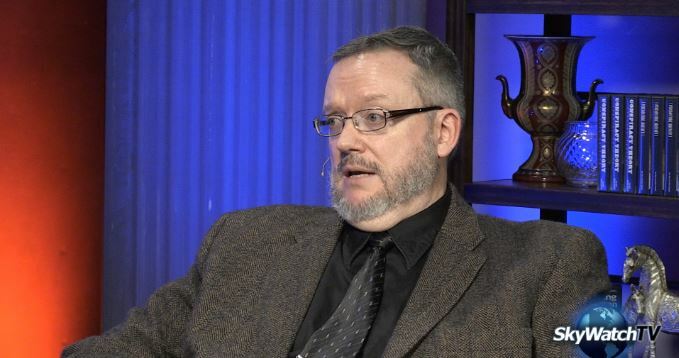 He has mentored aspirants of the Gospel ministry for over three decades and has served as an educational consultant for many Christian organizations worldwide. 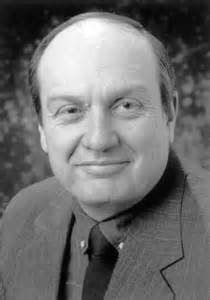 In 1995, events transpired within his ministry that opened his eyes to the reality of occultism in America. This cascade of events prompted years of research into Mystery Babylon, its effects on society, and an understanding of how the ancient Hebraic wisdom encoded into God’s Word can empower the Remnant for the intense spiritual warfare of the End-Times. It was a long journey to see the book completed this year. I pray it is a blessing to you and all who read it. May it awaken the Remnant. This book looks REALLY good. Cant wait to read it! I believe that Defender Publisher is set up with Barnes and Noble as well. They may not list the book until it actually comes out. As far as I know, it is still slotted to be released on January 15. Originally it was scheduled to be released on November 30, but the printing plant was backlogged with all of the seasonal printing that is very time-sensitive. I will rest a little easier when I have a supply of them in our office. I pray that the book is a blessing to you and that the Holy Spirit would help you see the patterns within history the Elite have left that all fulfill Bible prophecy. And may the fire of the Holy Spirit empower your life to prepare you for the days ahead! I would love to get my hands on this book – but we live in rural South Africa and our postal service is not very functional. I have ordered books from the USA before which we never received. Do you know of a company in South Africa who will stock your materials ? I am not sure what the schedule is for worldwide distribution. Dr. Tom Horn, the head of Defender Publishing, is currently out on assignment for a new documentary he is filming for SkyWatch TV. I know that the book is still so new that the division of Amazon in Canada is still waiting on their shipment. I believe the Kindle version is scheduled to come out around the end of February. I have a lot of students in that part of the world with Biblical Life College and Seminary that get most of the books for study in digital format. Kindle has free apps that will run on just about any type of PC, tablet, or even smart phone. This may be a good solution until the paperbacks can make it to your part of the world. Thank you so much !! I will wait in asphyxiation for the Kindle version 🙂 !! I just ordered your book The Shiner Directive after listening to you on Hagmann and Hagmann. The show was riveting, so extremely informative, and I just wanted to say “Thank You”. You covered so much in the 3 hrs, I learned a wealth of information and much confirmation was given as well. Can’t wait to read your book. I believe that the three hours that I was on the Hagmann and Hagmann show were the shortest three hours in history. Doug and Joe are such great men of God. The anointing of the Holy Spirit was so strong in that interview. I could have gone another three hours! My wife Tammy and myself were truly blessed also (like Valerie in the above message) with your interview with Doug & Joe. We just received our tax check back and I quickly ordered The Shinar Directive from Amazon and was blessed with the option to read it online with a Kindle App so will be starting that this evening as I await the paper copy. (I like to add notes to a paper copy for reference). I watched your wonderful 3 part presentations on Skywatch TV with Dr. Tom Horn and was excited to hear about the DVD with extra books and videos. I wondered if that comes with the book I just ordered or am I able to purchase it from your website? May God continue to richly bless you and Mary in your ministry and I look forward to meeting you one day. The original data DVD was only available through SkyWatch TV. I have constructed a new two-DVD data set for Biblical Life Resources. The first DVD is PDF books, which I gathered across the Internet. The second DVD contains 93 hours on MP3 teachings I have done. Many of them are seminars that include lecture outlines in PDF. Since you are overseas, it would be far cheaper to simply download the teachings from our digital library (which is free) at http://www.biblicallifeassembly.org. Thank you so much Dr. Lake we will investigate today. Reading the introduction to The Shinar Directive last night was like reading my own story. We had our awakening last May after I spent a number of years seeking God daily feeling alienated from other pastors and students at seminary. I felt like they didn’t have the same relationship with the Lord I had and that the Holy Spirit was just a word and not a daily guide. What a blessing to find others who have experienced such an awakening. After God gave me the spiritual mental download of how infected everyday life is it left me physically sick for 3 days and I have spent the last year “unpacking” what He showed us. The challenges displayed and His wanting to include us is an honour and incredible, and we look forward to joining you in prayer and action to finish the race. I have been so grateful of the spiritual meat and hope. I have a prayer request that has left my birthright demonically bound and feeling exiled. The legality is such where I cannot challenge it directly. I am praying that it can be challenged on the level of truth with Christ as the judge. This birthright I am believing for is precious to me and am angry at what has been devoured. Shalom Aleichem Dr. Lake, I have read part of your book and so far the only comment that I see would help. The “Ham” uncovering his Fathers nakedness is a Hebrew idiom, if you look at Devarim/Duet. 27:20 and Lev. 20:11 you will see the answer. I have a Jewish background and grew up with idioms, was taught from the Pashat to Sod and even in Rabbinic school have always studied and looked for the idioms. So to see a person explaining what I have been teaching believers for years is quite refreshing. Hi There hope you are doing well. I live in Namibia and I want to know order some of your books. Can I order from you directly or do I need to go somewhere else. Hi. I would love to order a couple books but I can’t seem to find a way to order them on your web page. “The Shinar”. Where do I pay? May The Lord bless you both, Dr Michael Lake and your wife, Mary Lou.